DIWA Labs has tested a mechanical lens from Carl Zeiss, the Carl Zeiss Distagon T* 35mm f/2 ZF. This lens is fully manual and it has some vignetting on a Full Frame camera at the biggest apertures. DIWA Labs used a Nikon D3 DSLR camera to perform all the tests of the lens. 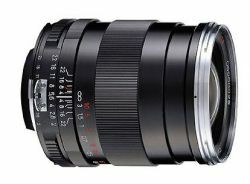 Read all the tests of the Carl Zeiss Distagon T* 35mm f/2 ZF lens on the Nikon D3 camera body here.